Becoming a Financial Victim – Divorce can be devastating, in and of itself, but if you suspect your spouse is planning a divorce, make copies of all important financial records such as account statements (saving, stockbroker, real estate, partnership) and data that relates to your marital lifestyle (checking accounts, charge card statements, tax returns ). If you believe that your spouse may liquidate or re‐title marital assets, notify the holder in writing and get a restraining order. Disregarding the Impact of Taxes on Assets in Divorce Settlement – The bottom line is the share of marital assets you receive after the tax man gets his. Consider the value of your assets relative to your spouse on an after tax basis. Do not make the mistake of failing to recognize your common enemy – the IRS. Work together with a divorce financial planner or tax accountant to minimize the total tax you and your ex‐spouse will pay during separation and after divorce and share the money you save. Do not forget that both parties are liable for taxes due as a result of audits on joint returns. Not Producing an Accurate Budget – Invariably clients underestimate or omit expenses when they produce their initial budget for temporary maintenance and later on in the divorce process complain about not being able to pay bills. It is imperative that both parties seek the help of a financial professional to produce an accurate and complete budget. Using your divorce Lawyer as a Financial Planner, Therapist or Messenger – Avoid using your lawyer to arrange parental visitations. Attorneys generally charge $200 to $300 an hour and are not skilled therapists or certified financial planners. If you need emotional support, career counseling or financial analysis, utilize qualified professionals and save big money in lawyer’s fees. 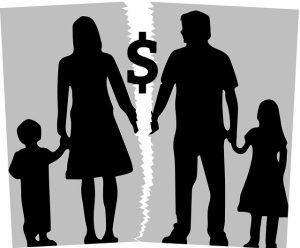 Failure to Develop a Post Divorce Financial Plan – One indisputable fact of divorce is that two households cost more to operate than one, but income is unchanged. Many couples start their post divorce lives not fully understanding that their settlement must last a significant amount of time, perhaps the rest of their lives. Financial planning can help people transition from a married to single lifestyle by prioritizing financial goals, developing realistic expectations, and producing written plans for allocation of financial resources.